First set up in 2011 the UK Blog Sound was a conceptual idea to act as a comparison (rather than criticise) to the now well established BBC Sound of list. Acting as an experiment to see if UK music bloggers could derive their own list of emerging artists, more representative of the music community, the UK Blog Sound has been a great way to give the artists that were nominated some extra publicity and exposure, something they so rightly deserve. The 2011 list contained some interesting alternatives to the BBC list including Mercury Prize winners Alt-J and Bastille who have found huge commercial success in the UK in 2013. The 2012 list was more similar to the BBC list with Haim being the runaway winners, followed closely by Chvrches. 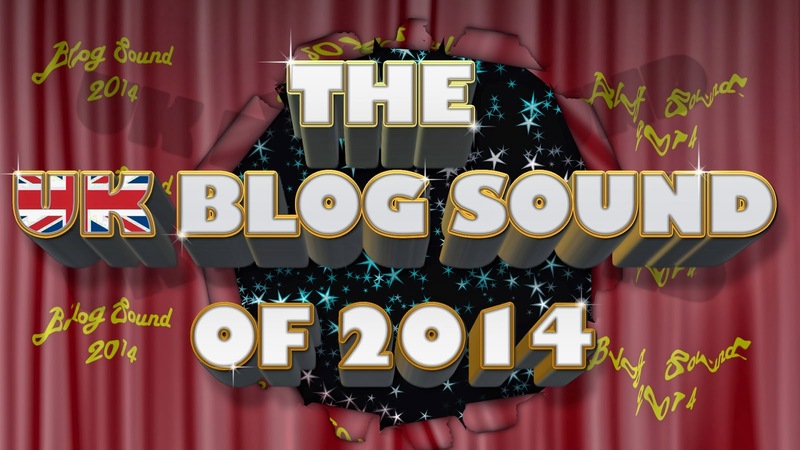 The UK Blog Sound of 2014 poll is the biggest yet with 59 blogs each nominating their 3 favourite emerging artists. It has been retitled to give emphasis to the fact that it is a list created by UK bloggers, although the choices of music can come from around the world. This year however, 15 of the 16 most voted for artists are British. So a few months ago I participated along with the other blogs voting for what I believed represented the best in emerging talent. Each blog would get one vote and were allowed to select 3 acts to put forward. The votes were then counted and below you can find the longlist of the 16 artists that received the most votes. We can now excitedly reveal that the winners of the UK Blog Sound Of 2014 poll are: Marika Hackman and Banks in joint 1st place with Sivu just one vote behind as runner up. This proves just how close the running was this year with many of the voted acts sparking a keen interest in the UK blog network. Banks is an American musician who makes sultry modern sounding electronic R&B influenced pop. She was the 9th most blogged artist by UK based Hype Machine listed bloggers in 2013. Sivu is an Idiosyncratic singer songwriter from London. Creating captivating folk-some melodies wrapped in devastating lyrics the young songster seems to have a never ending supply of talent and charm as he continues to churn out track after track.